4ft beds are a great idea, fitting into rooms where a standard 4ft 6in bed might be too much of a squeeze. However a standard double duvet can look untidy and too big for these beds. A small double duvet is a much better fit, looks great and gives the bed a neat finish. Victoria linen supply a range of duvets for small double beds. Everything is made in the UK to a high standard including the duvets that come in a range of fillings and togs. The duvet measures 72" x 86" (184 x 220cm), losing 6 inches width from a standard double duvet, we've made the duvet extra long too so that it accommodates 78"(200cm) length beds no problem. Duck Feather & Down : a high 85%/15% Feathar & Down mix for great comfort. Goose Down : Hi 85% Down to Feather filling. Super soft and light with unsurpassed temperature control. 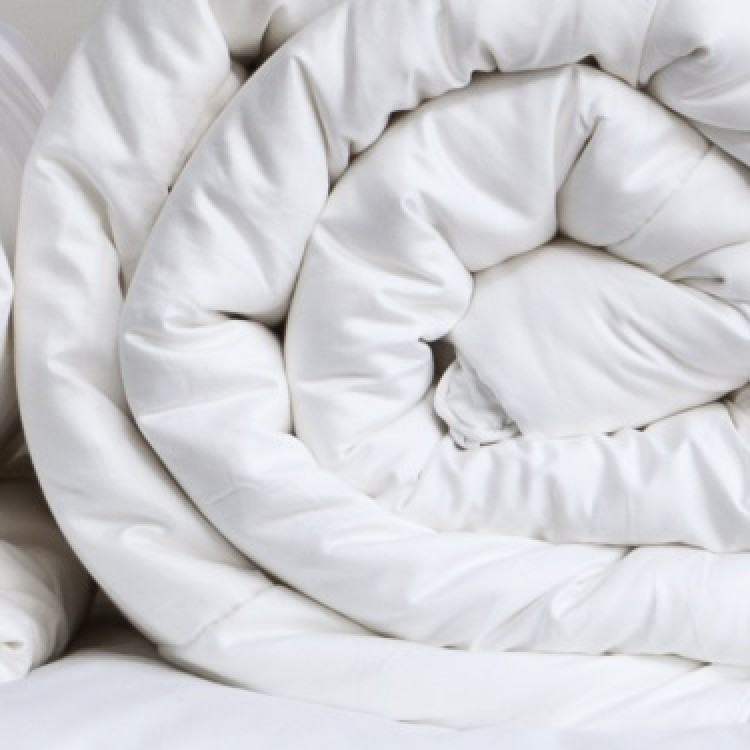 Small double duvets are available in togs from 3 up to 13.5. Small Double Duvet in Duck Feather & DownAn ideal duvet to fit 122cm, 3/4 and 4ft beds.Size: 72"..
Small Double Duvet in Goose DownGoose Down duvet made to fit 4ft, 3/4 beds85% Down / 15% FeatherWond..
Small Double Duvet in Hollow FibreDuvet in a size ideal for 4ft, small double bedsFilled in 'dacron ..